Fun climb to outstanding overlook. Short trail takes you on fun climb to an outstanding overlook. 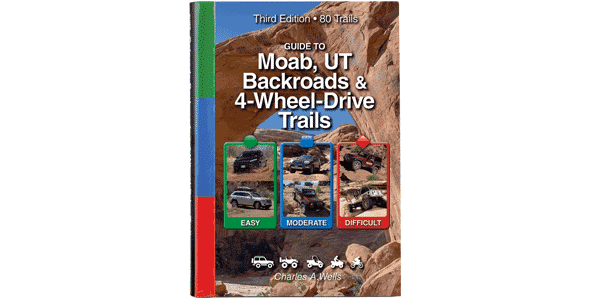 We’ve rerouted trail slightly from last edition of this book to include interesting Lunar Canyon. This trail is a portion of the very long 3D Trail run during the Easter Jeep Safari. Fun for ATVs and UTVs. A few steep, short climbs require we rate this trail moderate, but most of it is fairly easy. Routefinding is challenging, especially across Lunar Canyon. Watch for 3D signs, cairns, tire tracks and white dashes.